Anytime there’s a nearby river, the opportunity for camping should naturally come up as well. 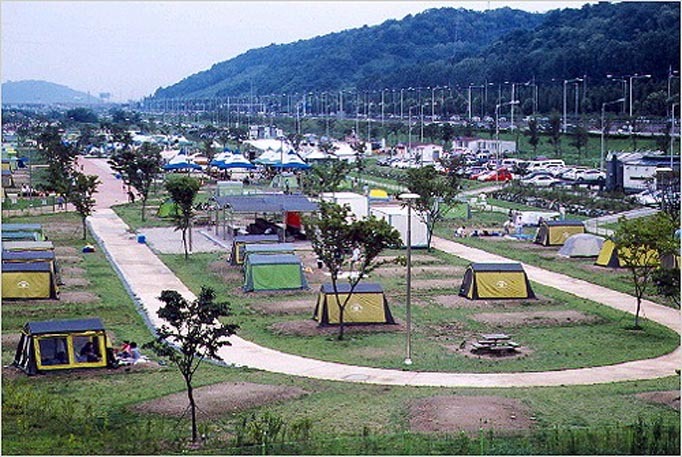 The Nanji Camping Site (Line 6 to World Cup Stadium Station, exit 1 – 20 minute walk) along the river serves as the ideal location for your desire for some outdoor bonding time with nature and a grill with your favorite meat. Featuring a host of exercise and sports options nearby as well as a view of the river along with several landmarks in the horizon, camping is always a good option to get away from ordinary. Best of all, you don’t have to deal with those pesky check out times at hotels and pensions so cheers to a good night with good company. 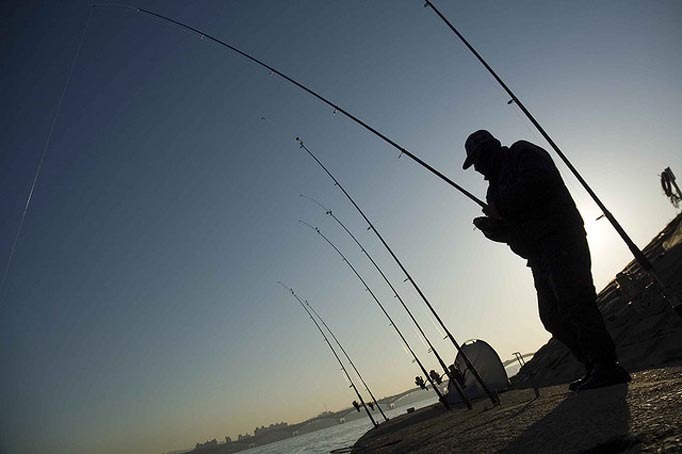 There are quite a few fishing locations scattered around Han River Parks that are inhabited by a variety of fishes including catfish and carp. Typically, there will be fishers at the popular spots and the locations tend to be surrounded by reeds so simply head down to the river area and become one with the water. Keep in mind there are some restrictions regarding bait so make sure to look up the recent regulations regarding fishing before you go and start fishing with a Kit Kat as bait. Chances are most of you probably won’t have any experience in this particular sport. 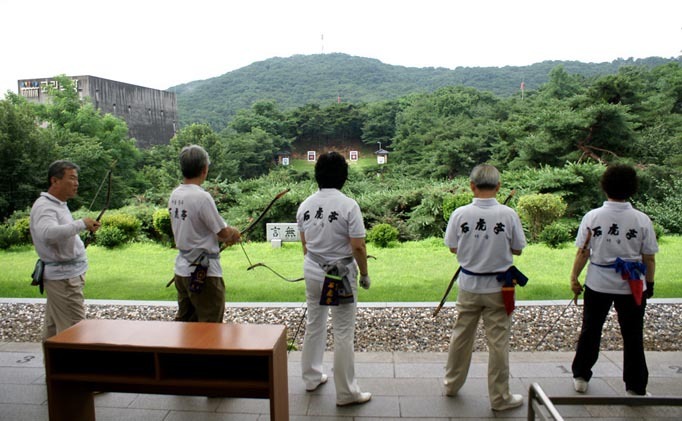 As one of Korea’s main fortes in the Olympics where they regularly pick up gold, try it out for yourself at the Nanji Archery Field (Line 6 to World Cup Stadium Station, exit 1 – 20 minute walk). Operated by the Korea National Bow Culture Globalization Association (geez, they need to cut down that name), the field houses 10 different targets at a distance of 150m. The entrance fee is 300,000 won and registration provides training and free tuition as well as equipment rental. Whatever you do, please don’t try to do your William Tell impersonation and shoot an apple off your buddy’s head. Make sure to get in ample practice before trying anything that ridiculous and tempting. 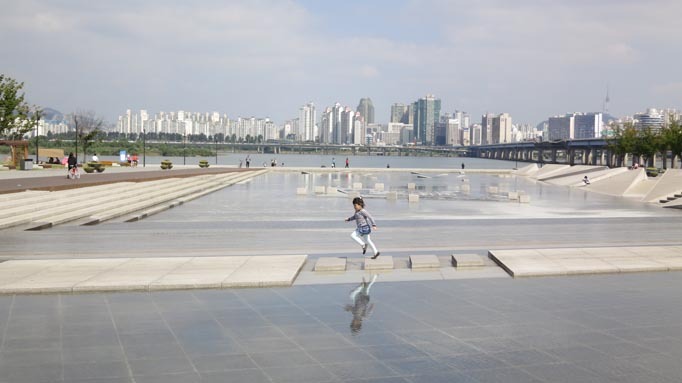 As the name suggests, Cascade is an area in the Yeouido Hangang Park that slopes downward like a waterfall and could be a fun area for free runners. The very shallow water makes it a prime spot for children as well as adults who still refuse to grow up. Check out the Piano Water that slithers down in the middle of Yeouinaru and the cascade, as it was cleverly designed as a mini version of the Hangang. Hop on line 2 and get off Dangsan Station exit 4 and take a walk to check out these two uniquely designed cafés perched on opposite ends of the Yanghwa Bridge. Café Aritaum Seonyu and Café Aritaum Yanghwa both provide different but equally spectacular views. 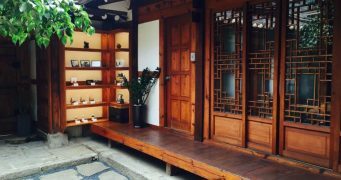 Seonyu incorporates a Western interior while Yanghwa adopts more of a traditional eastern approach. Although both provide different views and environments, you really can’t go wrong with either option to enjoy the pleasant surroundings. 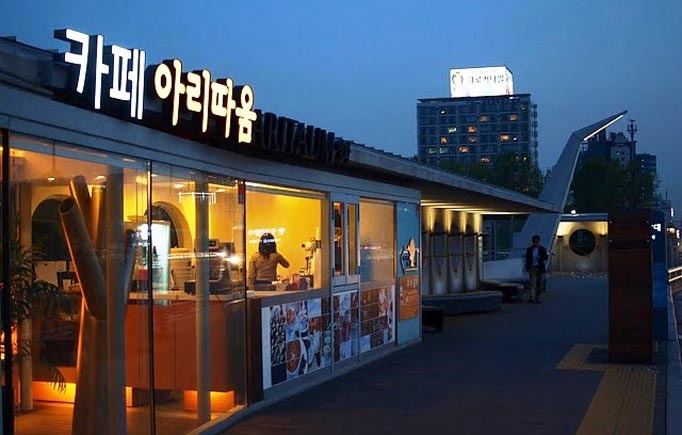 If this one’s too far, check out the other 8 Han River Cafes for Spectacular Views! 축하해요 Daniel 오빠. I look forward to more blogs from you. Hi Daniel! You’re off to a good start! Look forward to your next post. I recognized the On River Station. It was on an episode of Running Man. 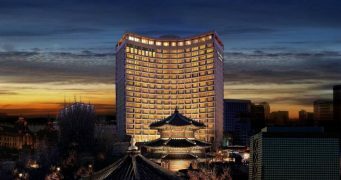 Im definitely a night owl and more than likely will check this place out… whenever I get to Seoul. Oh I don’t know how thank you guys I was just looking for it yesterday. By the way does anyone know where can I find some water entertainment sports and stuff like water skiing and jet ski or others and how much is the prices for them ? i heard there’s some sort of activities all around Hangang parks. Is the archery entrance fee really 300,000 원? Any chance there’s an extra 0 in there? Seoulistic is just a great website and it always makes me wanna go to Seoul soooooo bad! 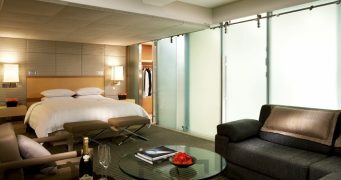 I can’t wait to come in August! What’s up everyone, just want to stop by and say hello and thank you for the kind comments. Fateh, off the top of my head if you follow the directions for the basketball post you’ll see a large boat that actually rents out gear. Don’t remember exactly how much it was but I’ve saw a few people windsurfing and boating around there. If you just head to the river there are a ton of places that are easy to find and rent out equipment. Jon, I thought the same thing when I first saw it. Maybe it’s 300,000 won to rent out the whole place? Haha that’s what the website says but chance are it’s a typo. I doubt it would be that expensive. Hi ! 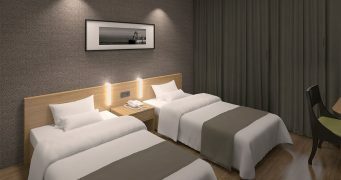 We are in Seoul at the moment resting on Han River apartment. . Just on question.. all the cafe you listed on your blog is it walkable from Dangsan station cause thats where we are staying. 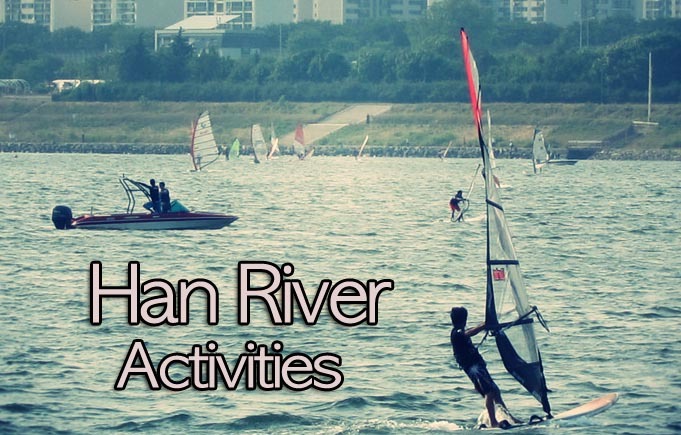 We are running out to things to do and cant found anything to do on Han River hehe. Cheers! Hey man, Nice job haha. This is actually the first time I saw your article. Thanks Daniel, that helped me a lot I was looking for it the whole past week with my friend I appreciate your help. Have a good one ! Your directions for the Rainbow River Light Show are wrong, the bridge at Dongjak station is miles away from the correct bridge ( Banpo) and even at that point the show happens on the opposite side of Banpo bridge so you still can’t see it from that side of the river. The closest station is Jamwon or the Seoul Bus Terminal. You wasted our evening with these directions please update your post.